NJ Stage Magazine votes HCT one of the best! 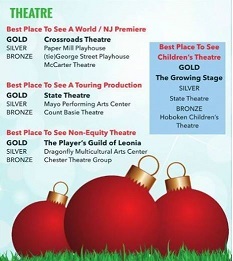 NJ STAGE MAGAZINE gives Hoboken Children’s Theater a bronze award for best place to see Children’s Theater in New Jersey! !